The National Film Board of Canada continues to push all boundaries and constraints of storytelling in Canada, and our guest Eloi takes on a tour of the Montréal English language animation studio. Through trials and tribulations, the animation, audio and distribution systems are being rewritten in real time. Eloi explains. Before he became Technical Director at the NFB Animation Studio in 2011, Eloi spent nearly two decades helping advertising agencies and corporations go beyond their creative limits. 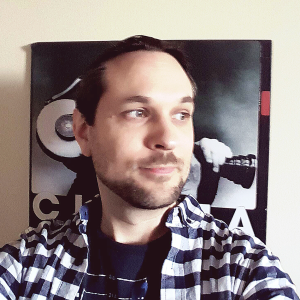 Drawing on his VFX expertise and creative problem-solving skills, Eloi has worked on many award-winning productions, including a number of stereoscopic films. Currently, he is working on a variety of linear and interactive projects using 3D printers, head-mounted displays, projections, different types of sensors and mobile platforms. Presentation by Fred Casia (Biocube) and Loïc Suty (The Unknown Photographer) at the Montreal VR Salon. Biocube was still in its very early stages and has evolved a lot since then. You can get the VR experience in Oculus Rift using a VR-ready web browser. See Oculus Rift link at the bottom of the page.